I hope you had a nice weekend despite the grey skies and the wet weather...great times for card games and cozy reading! Slovak language for Slovak nationals is ready to begin! 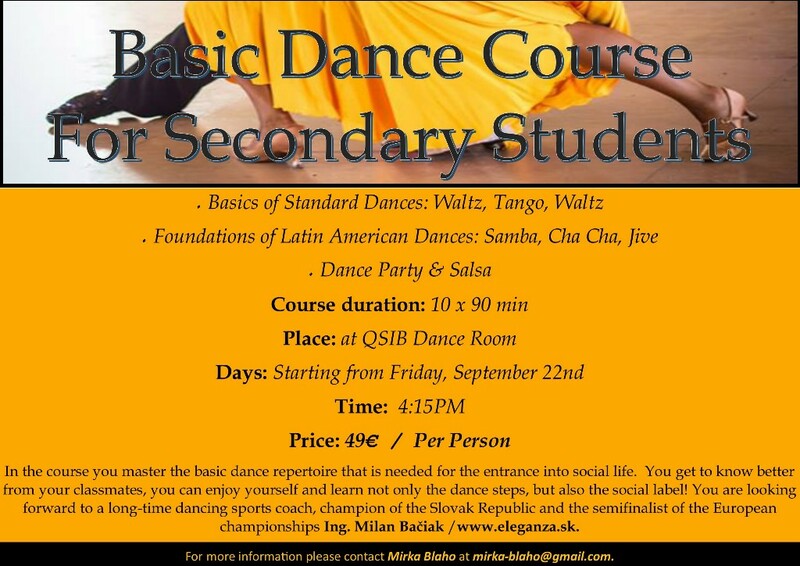 Ms. Patricia is prepared to offer these classes three days per week (M/W/Th) from 4:15pm - 5pm. 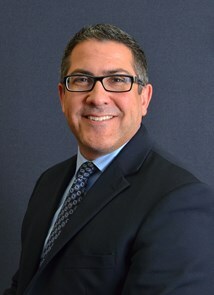 Please contact Mr. Owen at dan-owen@qsi.org to express your interest. The first day of class will be Monday, 25 September. 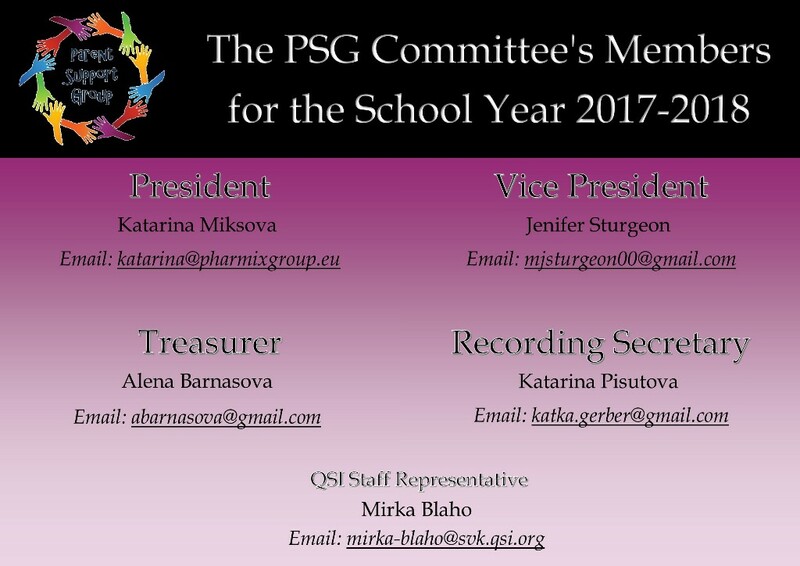 We will review this program each term. 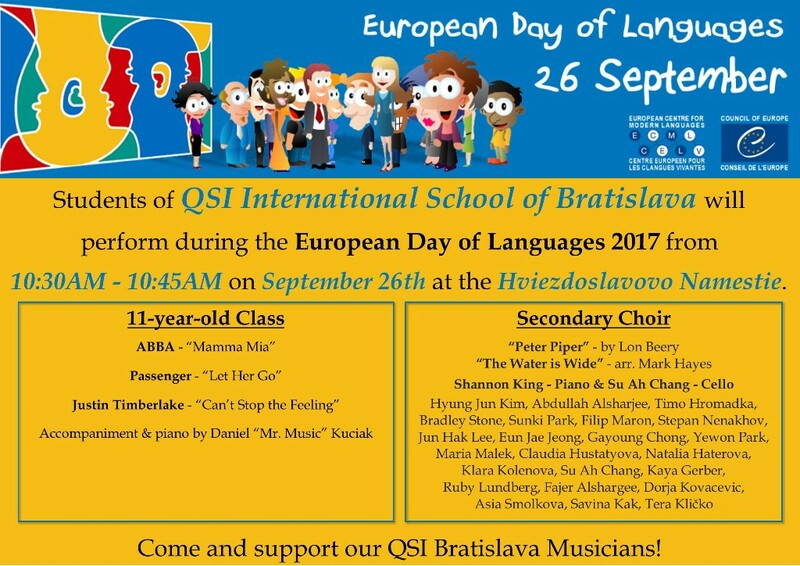 European Day of Languages, Tuesday, 26 September--come see our music students (11 years old and up) perform for this annual celebration in Stare Mesto...more details in the newsletter! 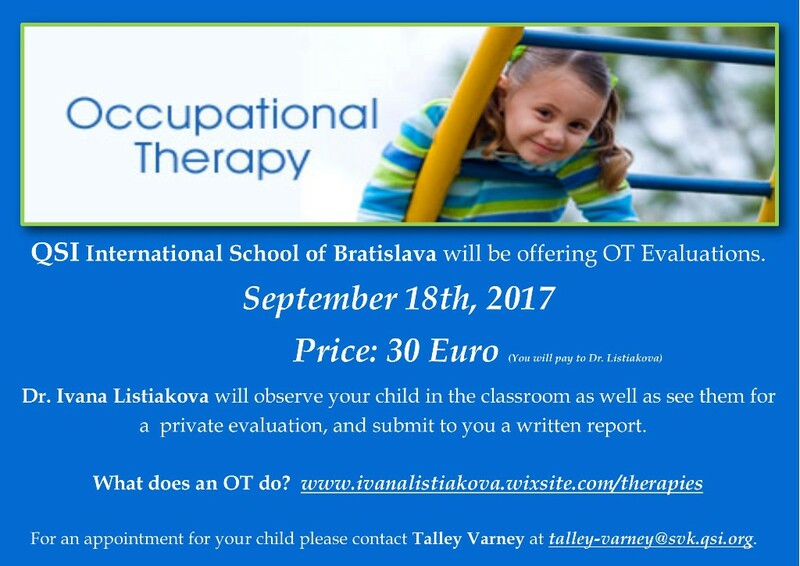 QSI Bratislava Samorin Transportation Survey--as we prepare for the move to the new Samorin campus, please expect a transportation survey which will highlight the FREE shuttle bus service (from three Bratislava locations), as well as paid options for door-to-door service and door-to-shuttle service for your child. This survey will be sent to you shortly. 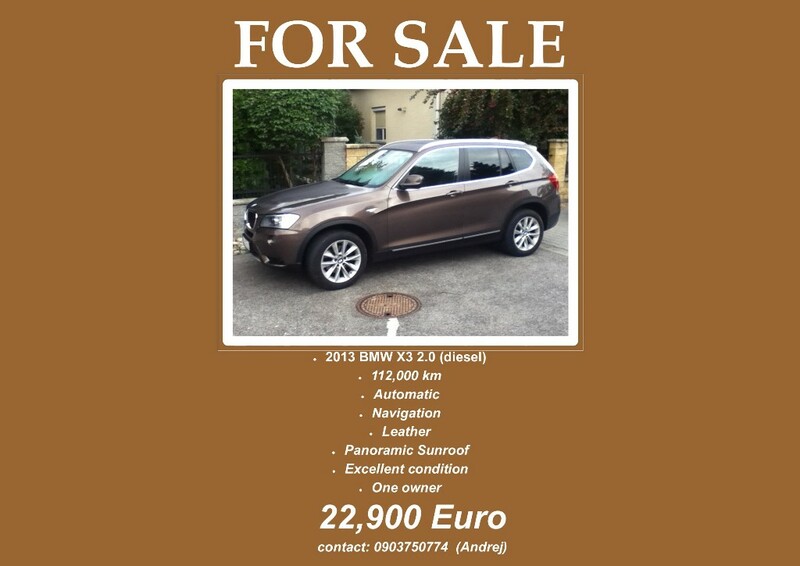 Your feedback is welcomed and helpful! 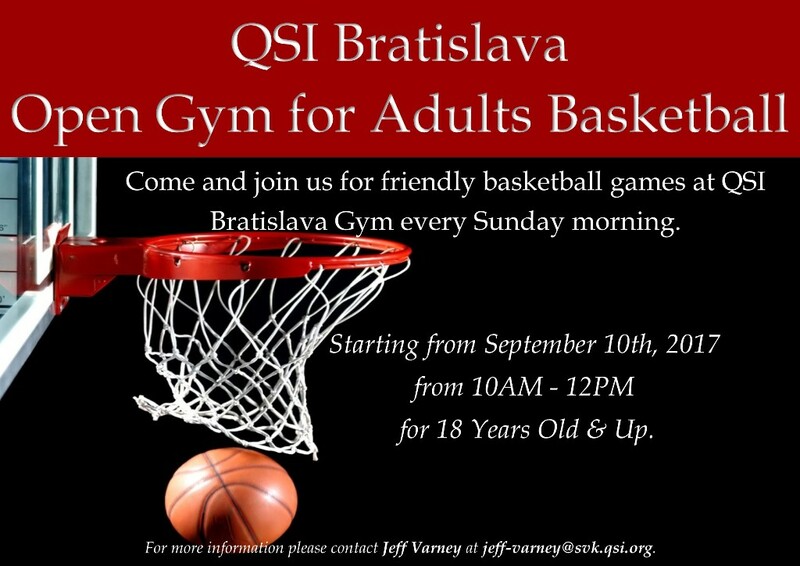 Swimming at QSI Bratislava Iuventa Pool--due to continued repairs and scheduling limitations, we will begin our PE Swimming program after our move to the Samorin Campus in January 2018. The MS/Secondary Swim Team will begin morning swim practices later this month. That's all for now...have a wonderful week! This week the 9 and 10YO students collaborated on a Growth Mindset workshop. 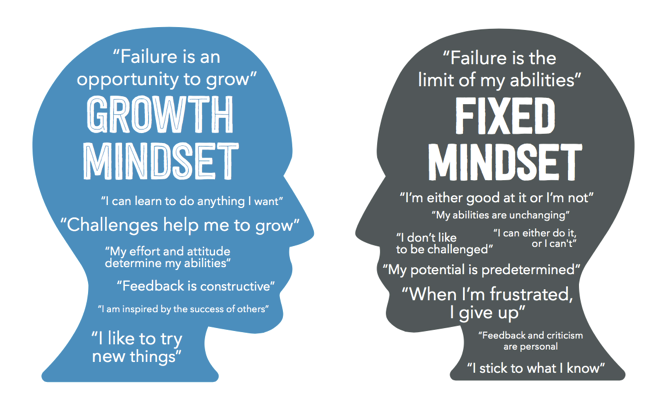 The students learned about the differences between a Fixed Mindset and a Growth Mindset and how using more positive statements allow students to accept challenges and take risks. The students were read the story, Ish by Peter Reynolds about a boy who realizes that not everything he draws has to be perfect as long as he has tried his best. Next, the students were introduced to the seven key words that represent the qualities of achieving Growth Mindset (Creativity, Persistance, Risks, Mistakes, Dedication, Courage, Effort, Success). Each word was discussed before students worked on posters in mixed age groups. The students' comments about where they felt they were in their thinking were very insightful. One, in particular, was Kostya's comment, from the 10YO class, who said, "I am grabbing onto the nose of the Growth Mindset." This will be an ongoing project this year in the hope of shifting the students' mindsets - encouraging them to take risks and not being afraid of failure. 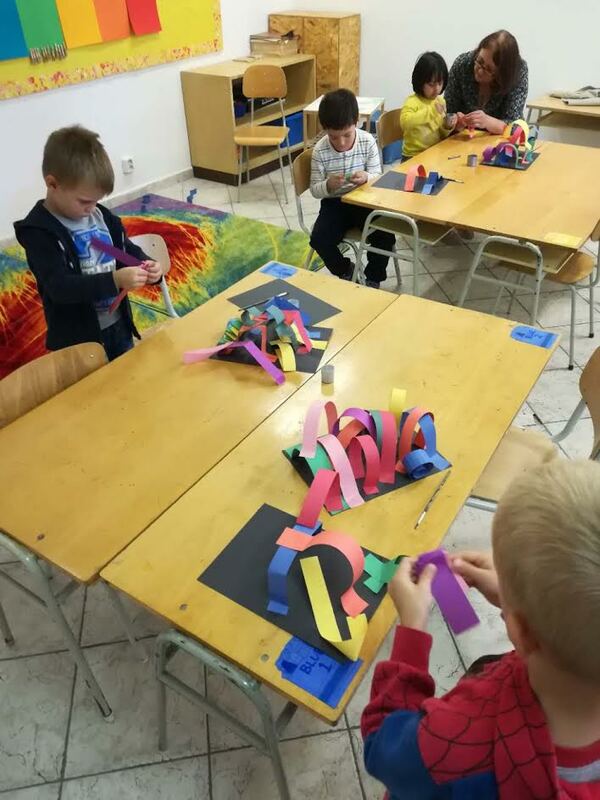 The 5-year-old Class is beginning to learn about the Elements of Art by creating these beautiful line sculptures! Full of color and a variety of lines, these masterpieces will be on display next Monday! 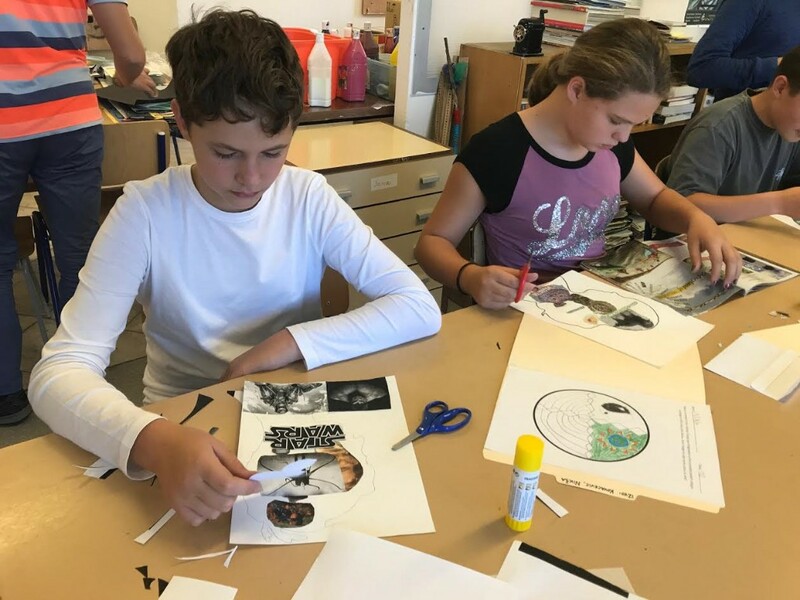 12's & 13's students are expressing their personalities and interests through collage! Created within a profile of their own faces, they are completely individualized and unique! Look out for the final artworks to be displayed soon! 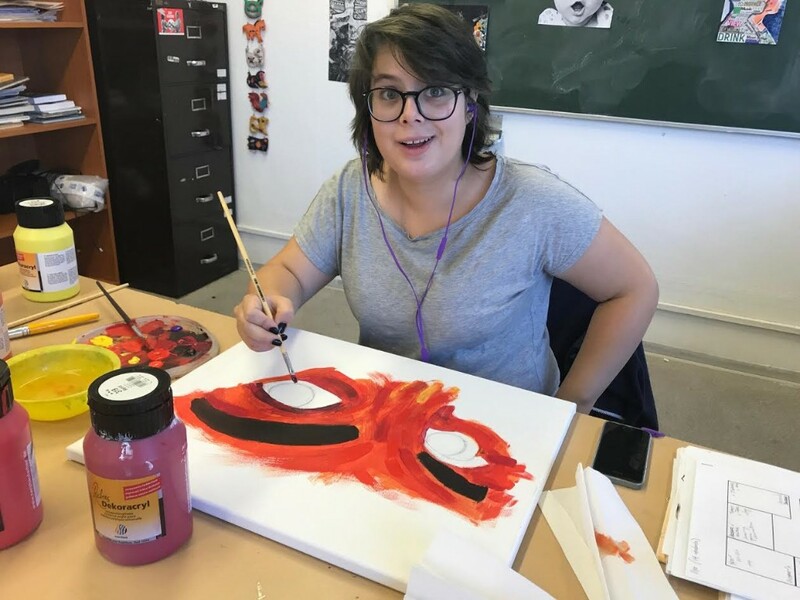 Jana IB Visual Art students are delving right into their studio artworks and preparation for the final exam, just six months away! Working with self-portraiture, we have a variety of techniques and approaches, but each piece truly reflects it's creator. Well done artists! 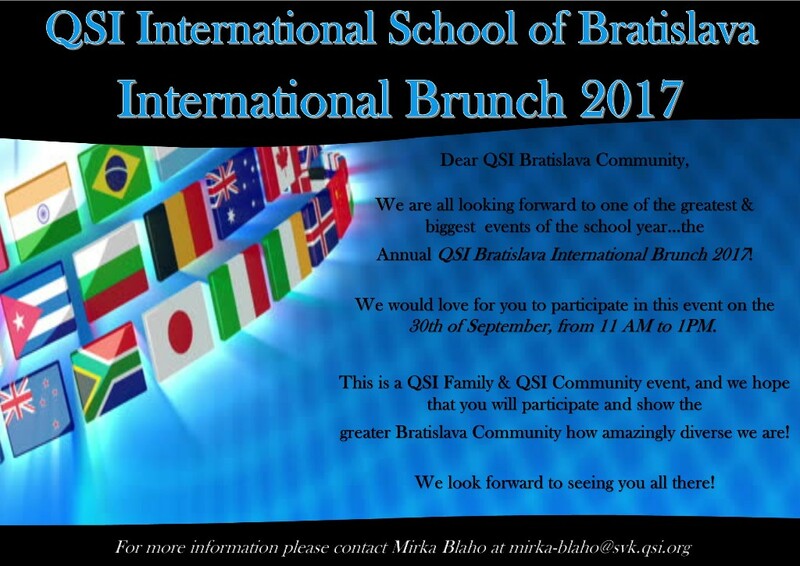 QSIB International Brunch 2017 is only 12 days away. 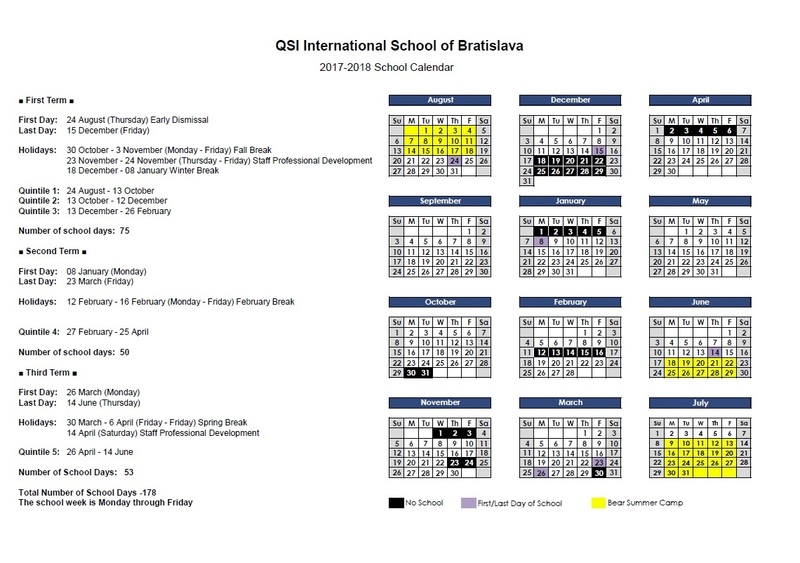 Currently we have enrolled children from 20 nationalities at QSI International School of Bratislava. Croatia, Czech Republic, Ecuador, Iran, Italy, Philippines, Slovakia, South Korea, United States & Vietnam. Come join us... and let us learn a bit about your home country :-). 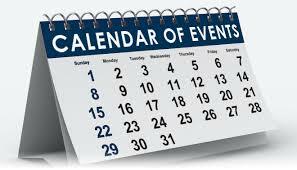 4.You can come to set up your table from 10AM on that day. Please remember, if you don't want to do it alone, you can ask any friends from your home country to do it with you :-). 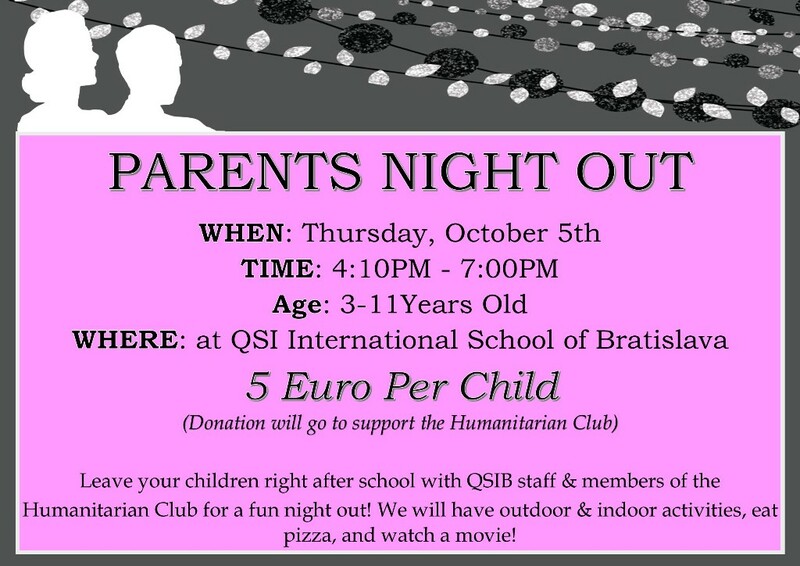 Your friends don't have to be a part of the QSI Family to participate. Thank you for your support to help make this event truly amazing :-). Looking forward to seeing you all!